The head of World Taekwondo Headquarters, also known as Kukkiwon, has offered to resign over a string of corruption scandals. Oh Hyun-deuk posted a statement on the Kukkiwon website on Thursday saying that he will step down from the post. Oh has been under police investigation since last year for breach of trust, embezzlement and irregularities in the employee recruitment process. In addition, a local investigative journalism television program recently raised allegations of sexual harassment and instigation of murder against Oh. Addressing the taekwondo community, Oh said that he feels sorry and responsible for his actions. "I will resign from the position after the appointment process for new Kukkiwon chief is finalized under the revised Kukkiwon code from the task force," he said. "General Secretary Oh Dae-young, who helped me to administer this organization, also offered to resign by the end of October." On Aug. 30, representatives from the sports ministry, World Taekwondo, the Korea Taekwondo Association, the Taekwondo Promotion Foundation and Kukkiwon met to exchange ideas on restructuring Kukkiwon's administration. On Friday, working-level talks were held to further discuss the restructuring process. 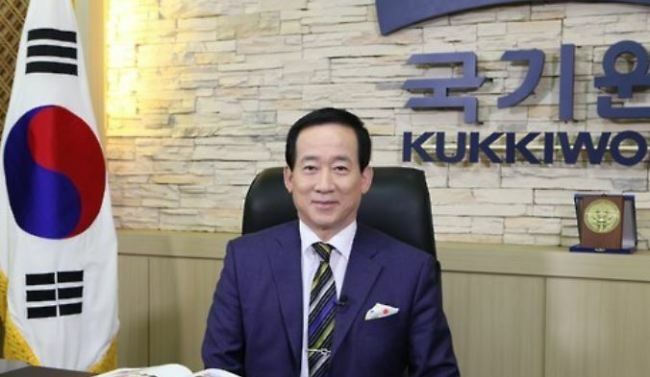 According to taekwondo insiders, it would take months for Kukkiwon to appoint a new president after the task force completes the administrative overhaul. In order to change the Kukkiwon code, it needs support from two-thirds of board members and the approval of the sports minister. The labor union of Kukkiwon has held a demonstration, demanding that Oh and other board members resign.